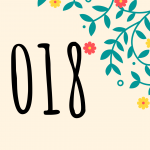 November 9th is the grand opening day of 2018 World Wenzhounese Conference and China-U.S. Education Cooperation in WKU. 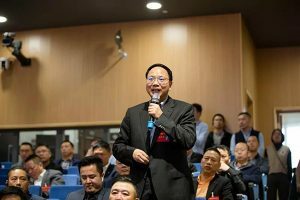 Deputy Mayor Ms. Zheng Chaoyang attended the conference and delivered a speech. 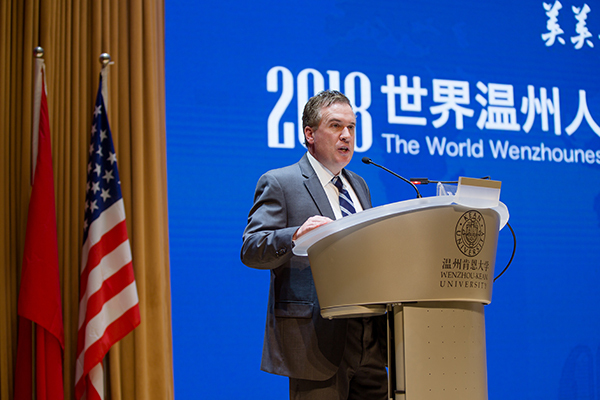 Scholars and experts both home and abroad gathered together, sharing their achievements and experience of China-U.S. education cooperation, as well as bringing their expertise on WKU’s construction and development. 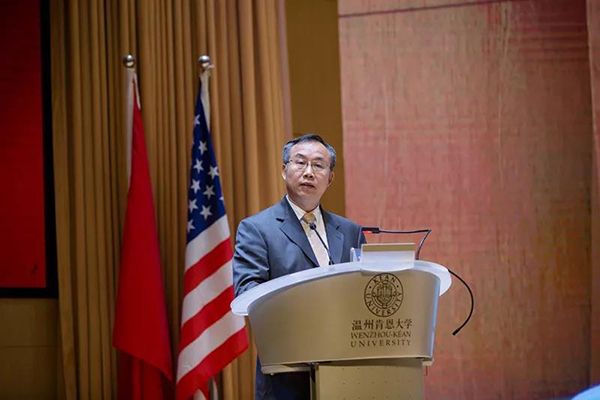 In the conference, Dr. Zheng Xiaodong, Vice Chancellor of WKU, warmly welcomed all guests. 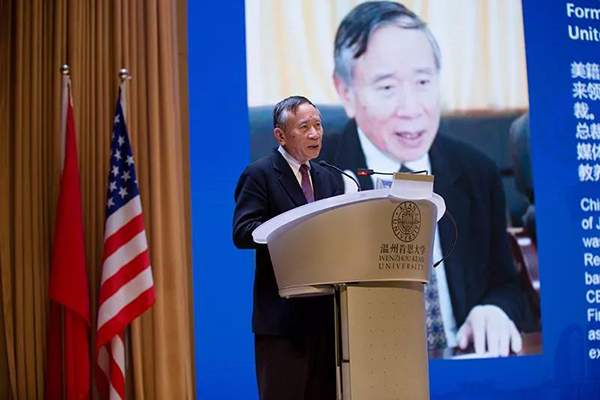 He said, as the first China-U.S. cooperation with an legal entity in Zhejiang, WKU would not have enjoyed today’s achievements without the support from the government, industries and local communities. 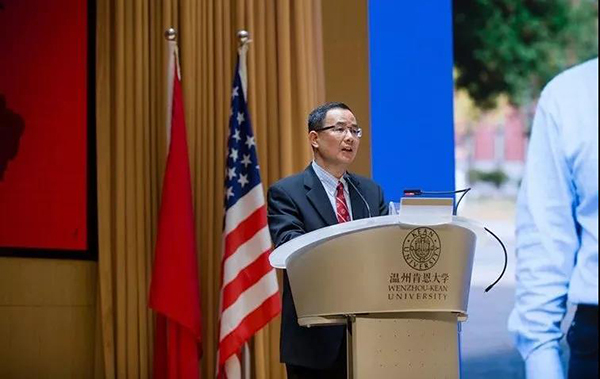 Zheng also noted that the forum is a brand new opportunity for the university, and he would like to hear from what the guests would say for a better development of WKU. 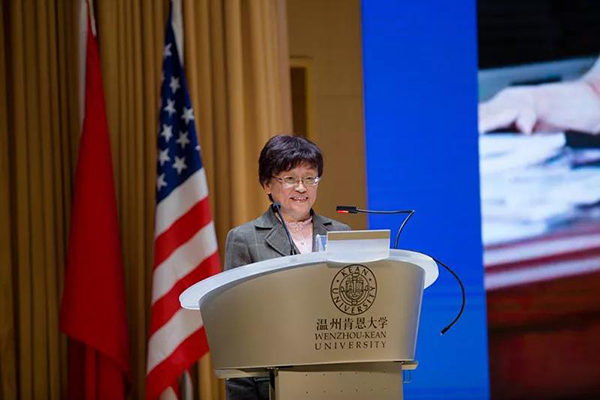 Ms. Zheng Chaoyang said in her address, in the era of cooperation for development, people-to-people exchanges have become a new spotlight in China-U.S. relationship. 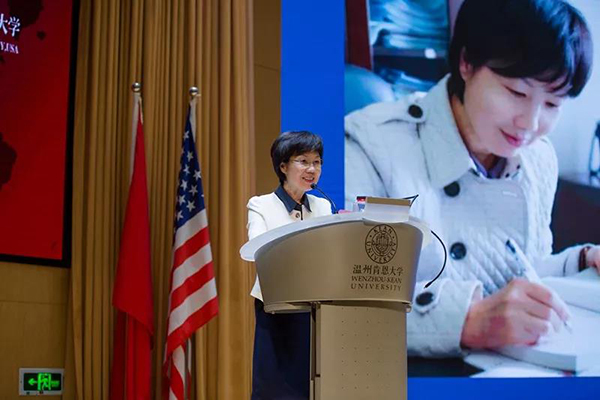 She spoke highly of WKU’s achievements in areas of school-running and international communication, and she would continue to give her full support for the construction and development of China-U.S. cooperative universities like WKU. Meanwhile, she also had high expectations on WKU – she hoped WKU, based on local culture, would keep bringing in excellent education recourses that are in urgent demand locally, and cultivate more outstanding talents to promote local economy in Wenzhou. During the forum after the Deputy Mayor’s address, former Deputy Minister of China’s Ministry of Education and former member of People’s Congress Standing Committee Ms. Wu Qidi, former Deputy Assistant Secretary of the United States Department of Commerce Mr. John Huang, Dean of Peking University College of Mathematical Science Mr. Chen Dayue, and representative of WKU faculty Mr. James Barnhart delivered keynote speeches. I became a postgraduate in late 1970s, and went abroad in early 1980s. I can say that I am a beneficiary of the Opening Up reform. In terms of higher education, first of all, how we succeed depends on first-class faculty and first-class students. Faculty inspire students’ interest in study, and students inspire faculty’s interest in supervising – they are positively correlated. In order to hold stronger attraction, we need to bring in first-class teachers, and that needs policy support. We shall build a lively academic atmosphere, and take good care of talents brought to us, retaining them with emotional bonds. 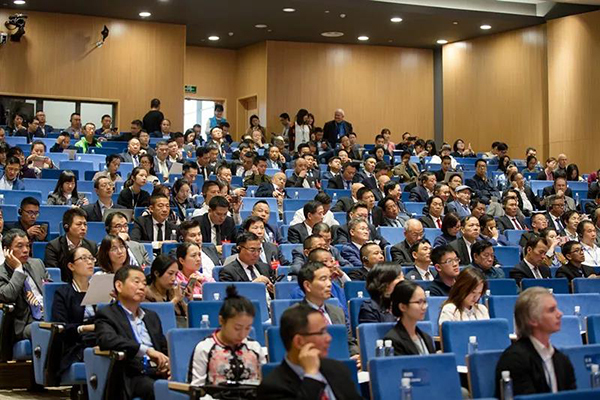 Secondly, speaking of universities, especially Sino-foreign universities, international student population should have certain proportion to build an international environment. We shall improve their knowledge of China, and enhance international exchanges in Sino-Foreign universities. 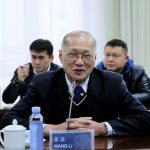 Thirdly, the establishments of academic programs should emphasize the urgent demands of certain fields, for example, accounting, foreign languages, law, computer science, software application, applied math, etc. Also, a university should emphasize the welfare of education, rather than solely depend on tuition fees. Education is for future and for young people all around the world. 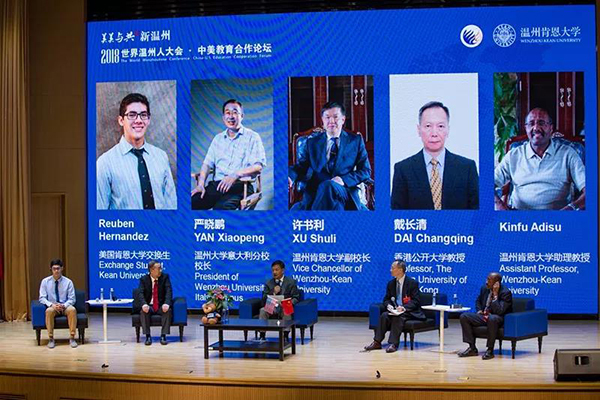 Facing the ever-changing world trends, we should be even more broad-minded, insisting on opening up and promoting international cooperation of higher education. Overall, Sino-foreign education cooperation as a bridge of communication, we should cultivate more talents with global vision. Roads are made of steps, and doors are opened by knocking. As a China-U.S. university, WKU underwent numerous times of “knocking” to become such a distinctive university today. At present, many challenges stand in the way of China’s future development. 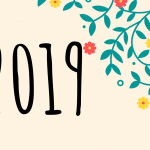 But what we need to do is to be confident and marching forward, adapting ourselves while we march. 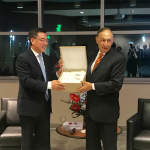 Over the 40 years of opening up, China has explored a new path that is different from the U.S., and has become the world’s second largest economy – this requires someone to be fully capable of telling these tales on the international stage. 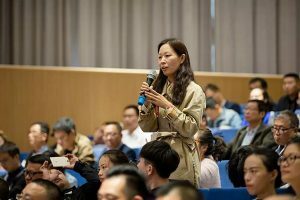 In today’s world, universities play another fundamental role: to cultivate talents who can tell China’s tales in the future, who can tell China’s tales to children in the U.S. in the same age or even to the whole society, and who can bring these people overseas to China to witness China’s economy development themselves. WKU is a China-U.S. cooperation system. Young people we train here should not merely pursue higher scores or just their degrees – they need to make friends and have their voices heard on behalf of China. 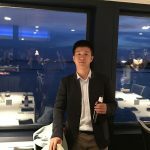 It will be truly remarkable if we can cultivate a group of young people to represent China and to tell China’s tales on the international stage. The past four decades of reform and opening-up has witnessed great progress in China’s higher education. While we should be clearly aware that we still have a long way to go to reach people’s satisfaction. In order to improve ourselves, we have been learning the experience from other countries. We learnt from the Europe, the Soviet Union, and now from the United States. America boasts a large number of colleges with varied types. 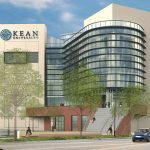 There are public schools and private schools, comprehensive research-oriented universities and liberal art colleges, usually small size and selective, and community colleges, and diploma mills. Students get an array of choices. I hope administrators of Sino-foreign universities would try their best to explore more ways for college application. To reduce the academic burden on students, these universities can be great examples in Gaokao system by offering more options for students to choose. The cooperative universities with their own distinctive characteristics could exempt from various kinds of assessments and examinations and operate based on the rules of education. As long as graduates are well-received by the society, those university rankings doesn’t matter. 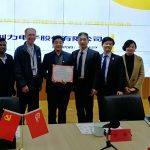 When running school in China, one cannot just copy the practice from the Unite States. People need to obey the Chinese rules and regulations and respect local culture and tradition. 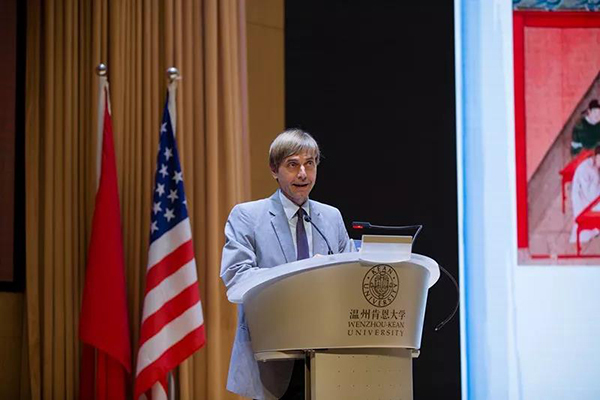 It is my sincere hope that China-U.S. partnership in higher education would integrate well America’s advanced resources with China’s booming demand for education. By offering cost-effective education services, these universities could try to attract more outstanding youth and thus reduce the number of young students studying abroad. 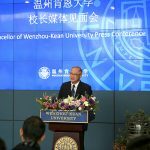 In their competition with public universities, they could play their strengths and elevate China’s higher education to a new level. I am very happy that China has awakened. The Pennsylvania State University when I have worked, half of the total student population are Chinese in some colleges. This is an amazing change compared to twenty years ago. This change does not come easily as Chinese culture and western culture have very different learning and education approach. Western’s knowledge system originates from the ancient Greece around 2500 years ago. The classical Greek culture is a dialectal culture based on argument. It’s based on speaking out, questioning and answering. It’s critical demands, proof, consistency. In addition, it also demands originality, individual standing out from the group and about it is outside and sometimes opposing the usual. During the industrial revolution, intellectual property right has been emphasized, and many inventions were created during that period. It is also reflected in education system, we encourage every student shall have their ideas, and develop a sense of confidence speaking in front of the group. a government official. Under the traditional system, Chinese students work very hard, but they are often lack of the ability of independent thinking and analysis. To overcome the difference between the two learning style, the China-foreign education exchange and cooperation has experienced great challenges. 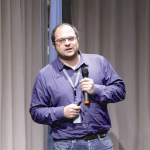 Yesterday, International Students and Student Service Forum was held as the second session. Mr. Yan Xiaopeng, President of Wenzhou University Italy Campus and Mr. Dai Changqing, Professor of The Open University of Hong Kong and Mr. Kinfu Adisu, Assistant Professor at WKU and KU exchange student Mr. Reuben Hernandez and Dr. Xu Shuli, WKU Vice Chancellor for Student Affairs had a deep discussion on various topics, including studying abroad, and how to help international student integrate into local life.